Three of the Center’s consultants have recently published or are in the process of bringing to press books reflecting their newest thinking on their work. With such emphasis currently on generic standards for generic students, Bonnie brings a much-needed balanced perspective to the task of improving student learning. Her six-step framework as a tool to use when implementing standards-based instruction has at it cores the human side of instruction. Relationships with students and colleagues, a deeper understanding of oneself, reflection and self-awareness and making meaningful connections with students and what the new standards demand are the heart of her message. In a word, it is “balance’ she seeks in our current efforts to improve student learning. Major chapters focus on each of these steps and are filled with concrete implementation examples. Worried that some of your students feel left out and unwanted? See Bonnie’s examples on “increasing visibility,” “welcoming behavior,” or “check-in procedures.” Is collaboration in your school preached more than practiced? Look at Bonnie’s chapter 2 where she describes “fierce conversations,” “the power of words,” and using “walkthroughs” to step out of the isolation of one’s own classroom. Her chapter on high-yield, research-based strategies posits that the search for the right strategy needs to be joined with a shift in our thinking from teaching to learning. What strategies enhance learning is the operative question and she has identified many in chapter 3 including “SMART Goals”, cooperative learning, introducing “academic language” and many “metacognitive strategies”. Very helpful are concrete examples of how these have been used by teachers. Chapter 4 on standards-based lessons is particularly rich with real classroom examples from the elementary, middle and high school levels. Bonnie notes that her reader will not find here a mapping of lessons to Common Core ELA standards. She refers readers to several other sources that assist in such an alignment. Some may see this as the book’s weakness; however not doing so conforms to her effort throughout the book to bring “balance” to the current reform effort. Chapter 5 focuses on feedback and refers to the work of Jane Pollock (Feedback: The Hinge that Joins Teaching & Learning). Specific ways of providing students and teachers feedback on their work are provided. 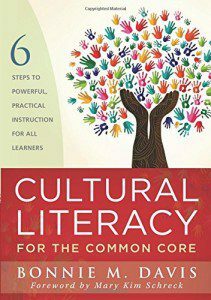 The last step in her framework, “Engaging in a Cultural Literacy Journey” is perhaps the most challenging and probably the most needed as the demographics of our classrooms radically change. She is calling for the end of “color blindness” and challenges teachers to “look inside their inner selves,” “uncover personal biases”, and share racial identity and culture. This is the book for teachers and administrators faced with the challenge of meeting the high standards of the Common Core andmaintaining the all-important human face demanded of high quality instruction and student learning. 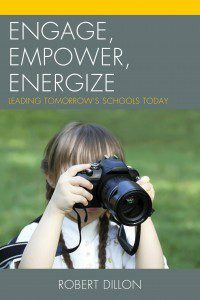 Throughout the book, readers have the opportunity to journey with a principal as he regains his footing as a leader and begins to move away from the inertia to just manage his school. In parallel, readers will be presented with ten proven strategies for bringing the quality of learning to their learning spaces that students, teachers, parents, and a community can truly celebrate. Dr. Dillon weaves this story into a vision of what is possible for schools when courage, leadership, and desire to maximize the potential of all students are paramount. 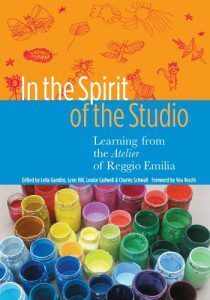 Nine years ago, I had the good fortune to work with Lella Gandini, Lynn Hill and Charles Schwall on an exciting project that became a book…In the Spirit of the Studio: Learning from the Atelier of Reggio Emilia. Early in 2014, we received ane-mail from Teachers College Press asking if we would work on a second edition. TCP had sent the book out for review and the response was extremely positive and very clear about why there is a need for a second edition and what would make the book stronger: more contributions from the Italian educators; clearer interpretations of the meaning of “the grammar of materials,” and other related topics; and updated chapters from pioneers in North America who have now been at work for several decades. The four of us have worked most of the summer on that new edition and we are so excited about it. I am not sure we realized when we started just how much more all of us understand about this work almost ten years later. We have also observed that many of us in this field have come to believe even more strongly in the essential role of “aesthetics and poetics” in today’s world. There has never been a more critical time to revisit the concept and content of this book and to bring it into the present. We invite you to stay tuned for the publication date of the second edition which has more that 40 percent new content and takes the principles and practices of the work of the studio to a new level. We are certain that you will want to read it! We hope that it might be out in time for the celebrations, conferences and the Wonder of Learning exhibit that will open in New York in 2015. We will let you know.